The perfect summer salad dressing made with just 3 simple ingredients. 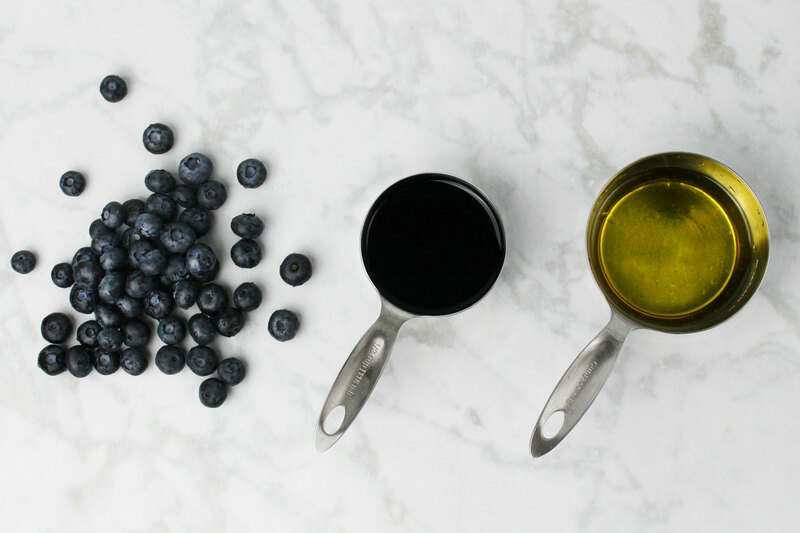 Place blueberries in a small saucepan, add just enough water to cover the bottom of the pan. Cook on medium low heat until berries are soft and thickened. Place 1/2 cup of the berry mixture in a blender with the olive oil and vinegar. Blend on high until well combined. Allow to cool, store in the refrigerator for up to 3-5 days. Notes: You will have some of the berry mixture left over. You can use it in yogurt, on top of ice cream, or on toast.